June is always a busy time, graduations and proms, wedding and other celebrations. Flowers help create a setting and enrich these special events in your life. We look forward to warm days, nights and summertime! With the freshest flowers flown in from around the world we are always creating new and exciting arrangements~ We create Monochromic or colorful designs for all of your floral needs. Peonies, Lilacs, Roses….heavenly! The amount of gorgeous flowers we brought in for Mother’s day was simply astounding and the peonies were abundant. We love to use the most beautiful flowers in our arrangements not just during the holidays but every day! 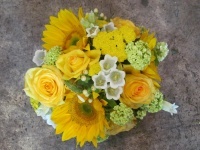 Here is one of the gorgeous arrangements we made for Mother’s day! Enjoy~and stop in and see some of the lovely flowers, and our cool succulents plants too. 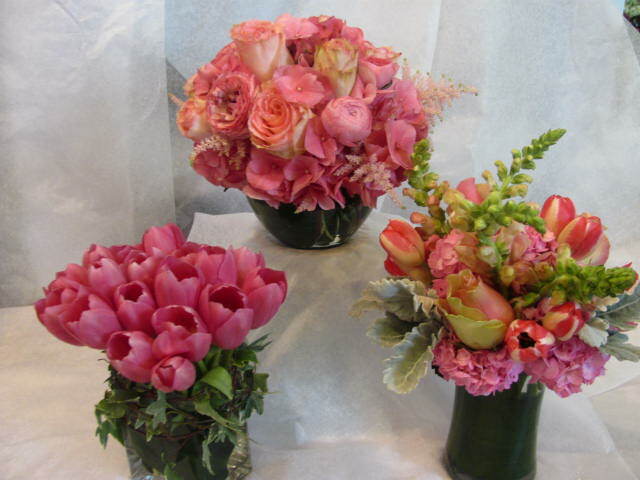 Arrangements with the color of pink! Who can resist! Today we present this trio. Enjoy!